← 49 Days to Go – Crunch Time! Training is beginning to get in the way of my social life! Last week I only ran once. 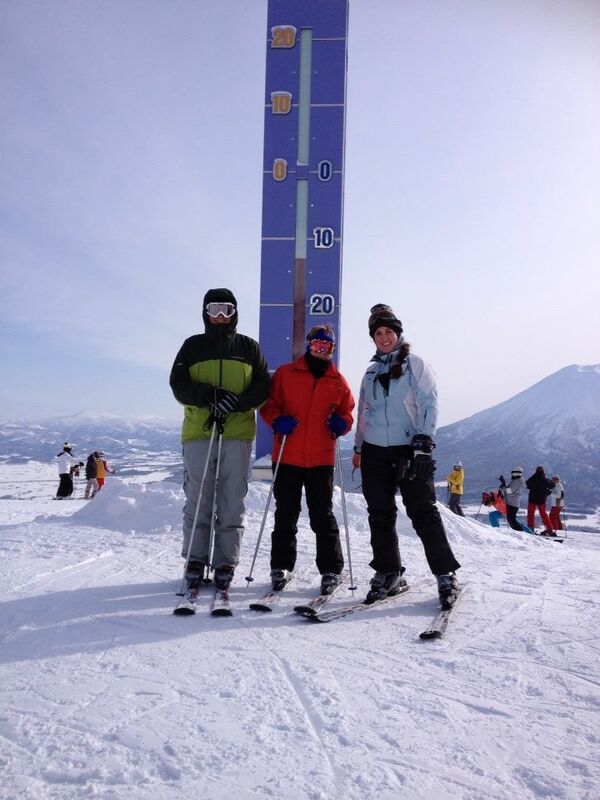 I was away skiing in Niseko for five days and missed my weekly long run and a short run. I also over indulged a bit whilst I was away so for the first week since the Christmas break, I put on weight. The ski break actually began with a very shaky start as I discovered on the first day skiing, that my trusty hip flask which I keep in my ski jacket pocket for a quick confidence booster during the chair lift ride, had sprung a leak and needed to be retired. Luckily, I found a replacement at a store in town and although it has a less-than-classic design, it does have a more generous capacity so it all balances out. I nearly lost it though when going through security at the airport because I had forgotten that it was in my backpack. Luckily security was satisfied with me sculling the contents at the check point and didn’t confiscate it! I’ve never felt more confident on boarding a plane. Turns out skiing doesn’t replace training runs. We got back last Tuesday night (another missed run) and I decided that from Wednesday on I would be serious with the training, even to the point of giving up alcohol until the race. This plan collapsed entirely the very next day when that evening at Sushi Club, the waitress was so shocked with my refusal of my usual hot sake, that she served me a bottle anyway. Since I had had the one, I didn’t see much point in not having a second, so I did. When I got home later that evening, I checked my SmartCoach for the run for the next day only to discover that I was supposed to have run that day too. So on my first day of serious training, I failed in every way possible! Thursday I ran. I was unable to complete the run however and had to finish a kilometre short of my goal distance for the day. The last couple of k’s were really hard and I ended up basically hobbling! This shocked me a bit because I had been finding the runs challenging but manageable and I had done this distance before. So again, I refocused and decided to get serious with my training again. My next run was just 5 km and scheduled for Friday but it snowed all day so I couldn’t run. I was going to do it yesterday but after falling off my bike when riding to the shops because of all the snow, slush and ice on the roads and footpaths, I decided against it. Today I finally ran. I did my weekly long run and although I was quite tired at the end and my feet were soaked because I couldn’t avoid all of the snow melt, I did manage to finish the full 18 kilometres. I was quite pleased with myself until I checked my SmartCoach and discovered I was supposed to run 19 kilometres.